Unlock your new 2018 iPad Pro’s full potential with our Satechi Type-C Mobile Pro Hub. Designed specifically for 2018 iPad Pro to conveniently access peripheral devices, wherever life may take you. 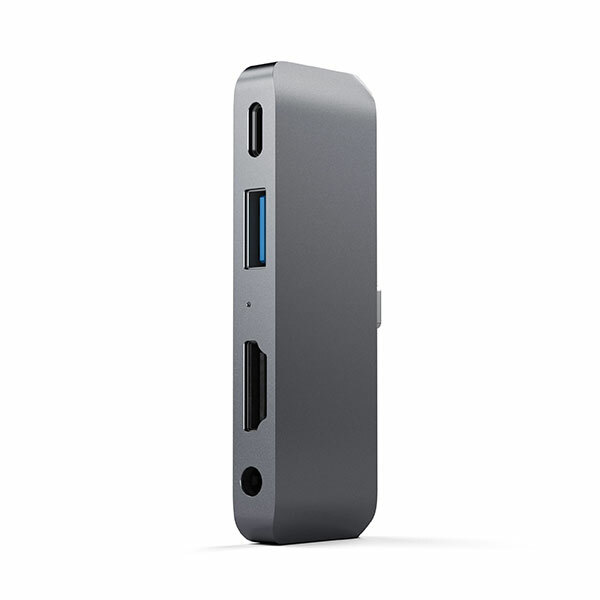 Featuring stunning 4K 30Hz HDMI display (2K 60Hz limitation for iPad Pro), USB-C PD 3.0 charging, USB 3.0 (up to 5 Gb/s) and 3.5mm headphone jack, all over a single USB-C connection. With its plug and play design, it is easier than ever to connect all your devices on-the-go.